AIR OPTIX® Colors contact lenses are a brand new, innovative monthly replacement color contact lens that will create a beautiful look that naturally blends with any eye color, whether you have dark eyes or light, whether you need vision correction or not. These breathable monthly contact lenses provide a stunning eye color with comfort. In addition, their monthly replacement schedule is easy to remember. العدسات من نفس الشركة المصنعة لعدسات فريش لوك المشهورة عالميا وتعتبر اير أوبتكس كلرز اول عدسات تجمع بين الجمال والراحة. هذه اقدر البسها طول اليوم ومااحس فيها. تعتبر عدسات شهرية تغيريها كل شهر. ممكن تاخذيها حسب مقاس نظرك او حتى بدون، وعندهم ٩ الوان بعضها الوان طبيعية يومية والوان قوية اكثر للسهرات والمكياج الثقيل. تقدروا تلاقوها بكل محلات النظارات بدول الخليج. 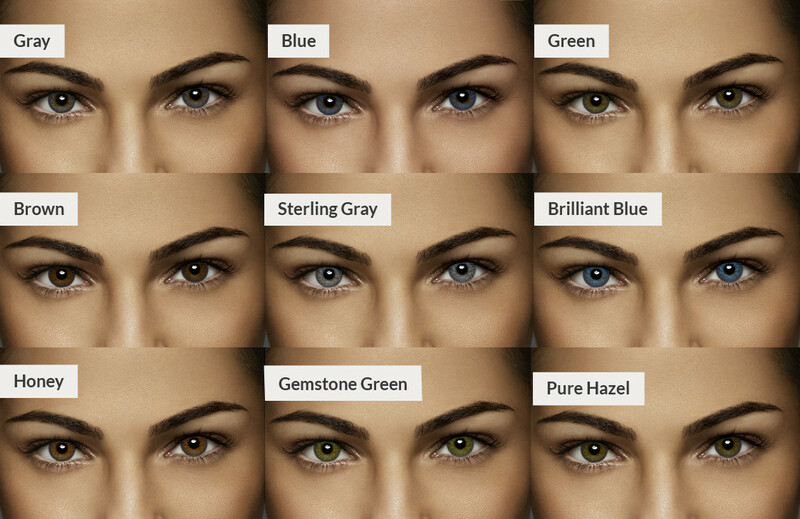 AIR OPTIX® Colors is manufactured by the same company that manufactures FRESHLOOK® Color Contact Lenses. AIR OPTIX® Colors is the first color contact lens that combines health with beauty. It is known as the most comfortable color lens in the market because of the lens material and technology it uses. The technology makes the lenses comfortable and easy to wear. It is available in 9 beautiful colors with and without vision correction. You can find AIR OPTIX® Colors at all major optical stores in the malls near you. تقنية ٣ في ١ للون يجي متدرج ويندمج مع لون عيونك ويبين طبيعي جدا ومناسب. Consistent comfort from day 1 to day 30 all thanks to their unique surface technology that helps resists deposits for crisp, clean, and comfortable lenses. طبقة عازلة على العدسة تحمي العين وتقلل التحسس. Subtle colors suitable for daily use are Pure Hazel, Blue, Green, Gray and Brown. Vibrant colors for a dramatic look, available in Honey, Brilliant Blue, Gemstone Green and Sterling Gray. ان شالله تكونو حبيتو البوست وتجربو العدسات وتعجبكم. اشوفكم ان شالله ببوست قريب.